UDA Technologies recently expanded staff to include new software developers for the growing family of Android powered smartphones and tablets. With this expansion comes the development and release of OnSite Mobile Apps for Android. 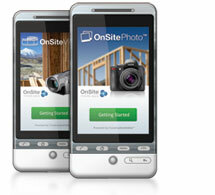 OnSite Photo for Android is the first member of the OnSite Mobile App family to become available. OnSite Photo for Android is available for free download in the Android Market. Longtime UDA Supporter and ConstructionSuite user, Michael Sauri, Owner and President of TriVista USA, is receiving national attention for his quality results in the remodeling industry. 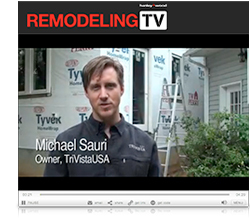 Sauri was recently selected to be featured on BobVila.com for their recent work on a home in Washington, D.C., and was also chosen to be the Green Building Technology and Strategies on-camera spokesperson for the online component of Remodeling Magazine, Remodeling TV. In their November newsletter, eTakeoff featured UDA Technologies as a Partner Profile, teaching eTakeoff users about ConstructionSuite and the integration it provides. UDA Technologies is a proud partner with eTakeoff, an electronic plan viewer that integrates with ConstructionSuite.